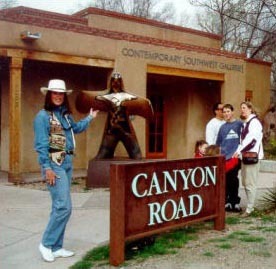 Hear the history of our art colony as we stroll along one of Santa Fe's most picturesque areas led by our Art Historian. This tour includes exclusive visits to well-known art galleries and features personal interactions with gallery owners and artists in residence. Concludes with luncheon at the famed Compound Restaurant. Reservations required; minimum of 4.